Ipswich – LA Kelley Communications, Inc.
New England, 1639. Imagine that you are standing on the deck of the sailing ship Jonathan. You have just glimpsed the shore of your new home, the Massachusetts Bay Colony. Imagine the brilliant New England foliage, the bright chilly wind. Imagine your dream of farming your newly acquired land. Imagine the adventure. Now, imagine that you are the first European with hemophilia to step on the North American shore. John Oliver (1613–1642) traveled from Bristol, England with his family to settle under the leadership of the Massachusetts Bay Colony. He lived for only three years after he reached North America, fathering one child, Mary, and dying young as a consequence of his hemophilia. Not until after 1800 did the medical community begin using the term hemophilia to describe his disorder. John’s daughter, Mary Oliver (1640–1698), was likely the first hemophilia carrier of European descent born in the colonies. With her husband, Major Samuel Appleton, Jr. (1625–1696), Mary had three daughters and five sons. One of these sons, Oliver Appleton (1677–1759), was the first American colonist born with hemophilia. Mary and Major Appleton lived in a settlement known to native Americans as Agawam, but re-christened by the English in 1633 as the town of Ipswich. What would life in Ipswich have offered their son, Oliver Appleton? Thirty miles north of Boston on the Atlantic shore, Ipswich was owned by the Massachusetts Bay Colony; it was purchased earlier in the century from Native Americans for 20 British pounds. By the mid-1600s, Ipswich ranked second only to Boston in population and wealth. The Appletons were a wealthy colonial family. Major Samuel Appleton, Jr., Oliver’s father, was the son of Samuel Appleton Sr., one of the “landed gentry,” and a good friend of John Winthrop, the first governor of the Massachusetts Bay Colony. Appleton’s fertile 460 acres of farmland had been granted to him by the Colony in 1638, and left to his son, Major Appleton, around 1670. Major Appleton, who served as a judge at the infamous Salem Witch Trials in 1692, died in 1696. He left his now nearly 600 acres, split into four parcels, to his four sons: Oliver, Isaac, Samuel and John. Oliver’s 100-plus acre inheritance included his father’s sawmill, ox pasture, and farmland bordering his brothers’ parcels. In 1701, Oliver married Sarah Perkins. Well-to-do millers, farmers and traders, Oliver and Sarah possessed numerous household and farm goods. They were involved in local politics, church affairs and business. Together they raised fourteen children; several sons and their descendants would become fine cabinetmakers. At the turn of the eighteenth century, Oliver and his three brothers were working their adjoining farms in a loosely communal style. Each brother might grow a crop that the other brothers could use. Yet each brother farmed separately, produced his own goods for trade (like basket hoops), and kept his own business ledger. The brothers owned cattle, sheep, turkeys and hogs, and traded goods with family and friends in Ipswich. On their “new” land (already cleared and cultivated by Native Americans), the Appletons cut and milled timber, raised livestock and worked the farm. Today, farming is still one of the most dangerous occupations. In the seventeenth and eighteenth centuries, its hazards were surely compounded by Oliver’s hemophilia, and the harsh New England winters. Yet Oliver lived to be 82—a considerable age in any century. Late in life, Oliver was confined to his bed and developed bedsores on his hips. At age 82, his cause of death is recorded as bleeding from his bedsores and his urethra. Oliver appears to have been a generous and fair man, dividing his estate equitably among his children and his wife Sarah. Oliver and Sarah had six daughters and eight sons. Two of the daughters, Sarah and Hannah, had sons with hemophilia. Interestingly, Hannah’s sons, Oliver and Thomas Swaim, were doctors. What would they have thought of their family’s disorder? Without letters or other documents, we can only guess. Yet it was the Swaim branch of the Appleton family that attracted the attention of the medical community. Based on his personal connection with the Swaim family, Dr. John Hay, a Massachusetts physician, published an article on the Appletons in a New England medical journal in 1813. Following this publication, the Appleton family history appeared in numerous medical journals, at least as late as 1962. By then, the family had been traced through 350 years and 11 generations: 25 males with hemophilia, and 27 carrier females. In 1961 a blood sample, drawn from the last known living carrier in the family tree, revealed factor VIII deficiency, or hemophilia A. Are the Appletons America’s “First Family” with hemophilia? Perhaps, in the sense that our knowledge of hemophilia has been enriched by the study of this large and long-lived colonial family. Thanks to our American Revolution, we have no “royal family” with hemophilia. Yet we can still honor and remember the Appleton family. This Thanksgiving, we can recall the challenges faced by earlier generations with hemophilia—people who contributed to our heritage as Americans, and as a hemophilia community. To understand ourselves, and create our vision for the future, we must always remember the past. 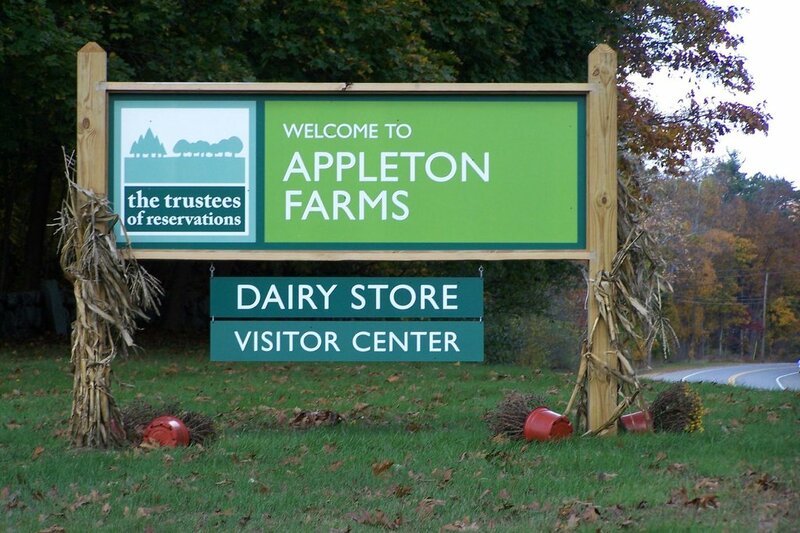 You can visit Appleton Farms in Ipswich, Massachusetts. © 2002 LA Kelley Communications, Inc.